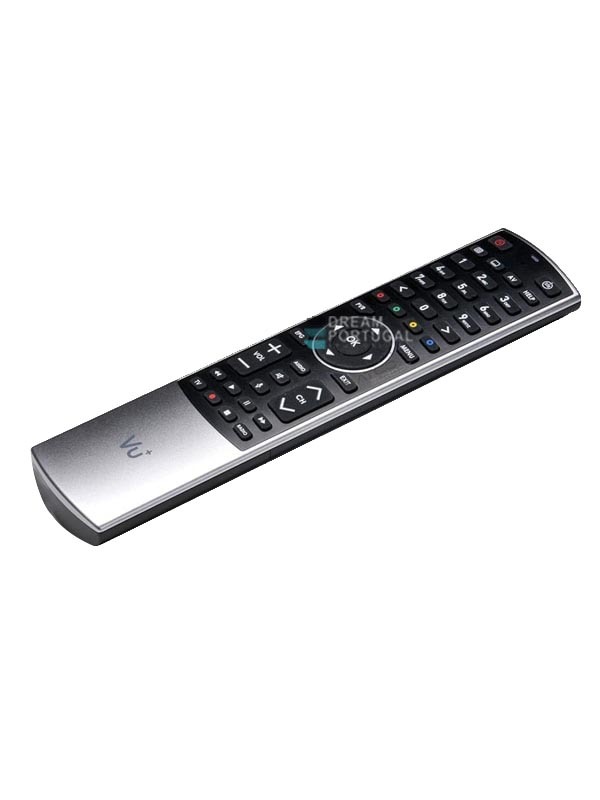 Vu+ Bluetooth Remote Control - Buy at dreamportugal.pt! Vu+ Bluetooth Remote Control works also through IR. The volume buttons (Vol + / Vol- / Mute) and the TV-Power button can be programmed for the volume control and on / off function of your TV. The control of your TV is possible in BT as well as IR mode. The firmware of the remote control can be updated in BT mode when an update is available. The Bluetooth mode of the remote control only works with Vu+ receivers that have integrated Bluetooth (VU + Ultimo 4K). For all other devices, the remote control operates in IR mode.